Cornwall is "struggling to cope" with "unprecedented mass tourism" this summer, it is being claimed. 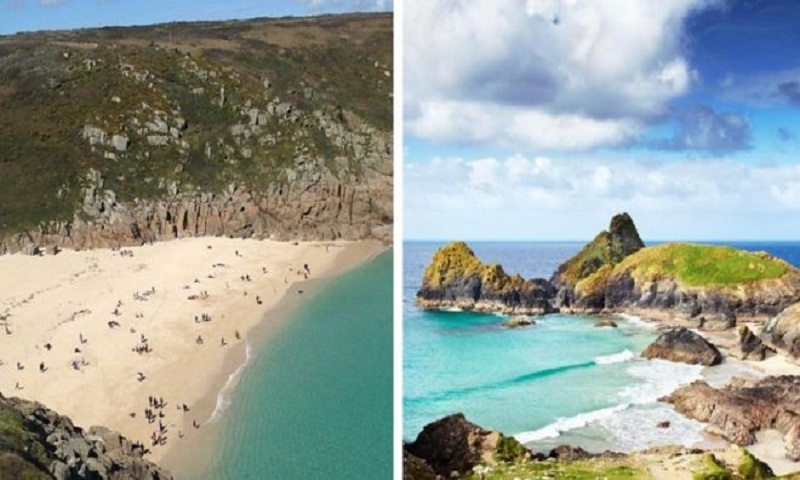 Visit Cornwall, the county's tourist board, said it had actively stopped promoting two beaches because of problems caused by overcrowding. Porthcurno beach and Kynance Cove, traditionally quieter beauty spots, have seen an influx of visitors after social media promotion, it said. Local people said traffic gridlock was making some communities unsafe. Andrew Tate, who lives near Porthcurno, said an "absolutely massive traffic jam" was made worse by people parking along a narrow rural road. "The result was a massive safety problem - you literally could not enter Porthcurno, it was gridlock," he said. Kevin Hall runs a campsite nearby and said deliveries had been late. "It's been unprecedented... It got to the stage where we had to go down to the junction to stop people coming into the village and try to turn them around," he said. A spokesperson from South Western Ambulance Service NHS Foundation Trust said: "This summer we have struggled to reach patients on various occasions due to vehicles being parked inappropriately... We urge people to park sensibly and to show consideration for emergency vehicle access. "Traffic congestion and inconsiderate parking do present significant challenges to our crews, especially in tourist resorts and areas where the roads are more limited." Malcolm Bell from Visit Cornwall said: "Nobody wants to see this sort of mass tourism affecting the area, affecting the tourist experience and clogging the roads". He said he wants to see "redistribution", explaining that many other Cornish communities need more visitors but are not being effectively promoted on social media. He estimated visitor numbers were up by about 20% this summer on the usual 4.5 million visitors per year, thanks to the heatwave, with people flocking to the south west to escape hot cities. He said an estimated one in three household incomes depended on tourism in Cornwall and a balance needed to be struck. "Air bnb has gone ballistic so we've had about an extra 20,000 visitors from that every day - and when the weather is like this often relatives will come down and stay," he said. Bec Matthews runs a holiday park at the busy resort of Perranporth, where drivers have been queuing to enter the town. "I am fully supportive of visitors to the area and quite frankly sick of people moaning. Without tourists we would have no business," she said, adding that the town "does need a park and ride or traffic officers at peak season". Deborah Hopkins, Unite union regional officer for Cornwall, said the increasing traffic created a "nightmare" for some health workers and trades people. "Each summer it gets a bit worse," she said. "We need to have a serious discussion about how we balance the need for tourism and the need for business to continue to run over the summer. "We have a huge proportion of self-employed people in Cornwall who aren't able to make enough money in the summer as travel time isn't paid time if you're in self employment". "Our infrastructure is struggling to cope. The burden needs to be recognised and the government needs to invest in Cornwall," she said. Liam Hunt, 33, a plumber in Newquay, said his daily journey home was delayed all summer and it was so difficult to park on his residential street that he had abandoned his vehicle on double yellow lines and paid £70 in parking fines. The town is expecting an extra 50,000 visitors this weekend for the annual Boardmasters festival, with drivers being warned of delays. Group Manager Mark Salter from Cornwall Fire, Rescue and Community Safety Service said: "Popular destinations such as St Ives and Newquay do present a greater risk of responding crews being delayed as they carefully navigate through slow moving traffic".